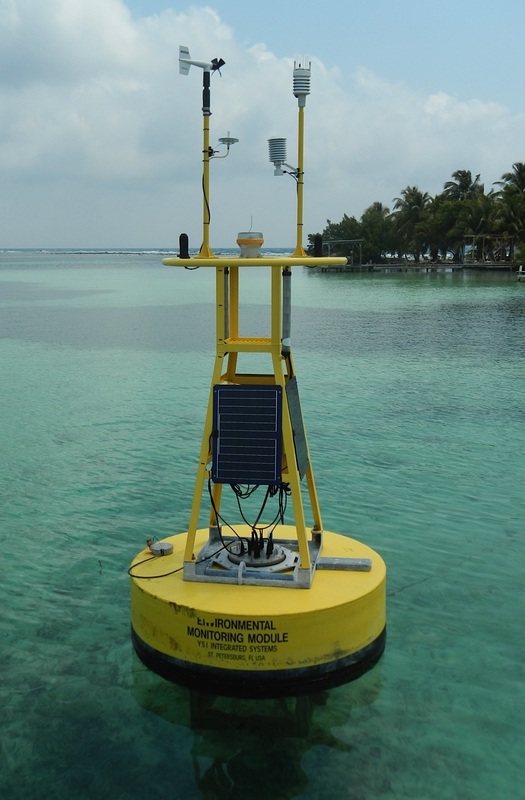 The Caribbean Community Climate Change Centre ([CCCCC]) and NOAA/AOML have reached an agreement through a Memorandum of Understanding for a Phase 2 extension of the Coral Reef Early Warning System (CREWS) to at least five new countries in the Eastern Caribbean. Under this agreement, AOML (partially funded by the Coral Reef Conservation Program), will provide consultation and information systems support, to include programming of the data gathering buoy, transmittal of the near real-time data back to AOML, ecological forecasts for coral bleaching (and other marine environmental events), a Web presence, and stakeholder engagement in the entire process through facilitation by our Sea Grant representative, Dr. Pamela Fletcher. The data to be collected by the buoy will include minimally, winds (speed and gusts), barometric pressure, precipitation, photosynthetically active/available radiation (PAR, light), air temperature, sea temperature, and salinity; other instruments may be added through arrangement with the host countries. AOML scientists will seek to establish new research collaborations with the host country scientists, conservationists, and Marine Protected Area managers. Under a previous arrangement for Phase 1, stations were installed in Belize (2), Trinidad & Tobago (2), Dominican Republic (2), and Barbados. Unfortunately, the stations in Belize were badly damaged by Hurricane Earl, and the Barbados station was inadvertently damaged through a local accident. Phase 1 is not funded under this new agreement. Below is the proposed schedule for the site surveys and stakeholder engagement meetings for the Phase 2 stations; however, dates and countries visited may change. It is not known at this time when the follow-up of station installations will be conducted. The new buoy architecture is still being researched. By caribbeanclimate in 5Cs in the News on July 27, 2017 .